The new viewing point in County Clare allows the public view these magnificent birds without disturbing them. THE FIRST WHITE Tailed Sea Eagles born in Ireland in over a century can now be viewed by the public in a new viewing and information point launched in County Clare. 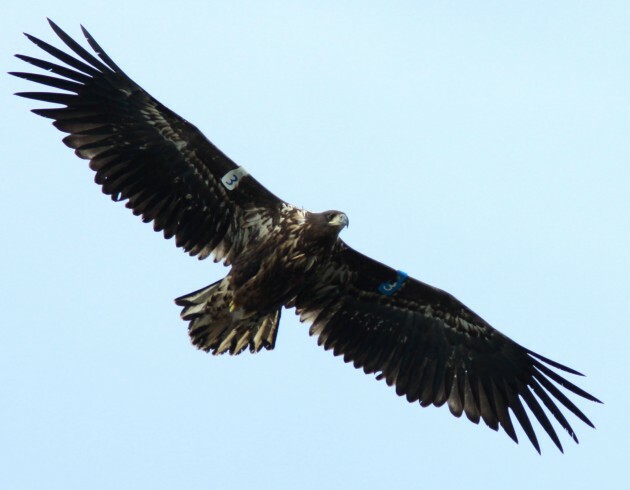 In 2011, the Mountshannon breeding pair, a six-year-old male and five-year-old female, were collected as chicks on the island of Frøya off the west coast of Norway by the Golden Eagle Trust. The birds were released in Killarney National Park before relocating to Lough Derg in 2011. The pair, named Saoirse and Caimin, created history in 2013 when they reared the first chicks to fly from a nest in Ireland in 110 years. The pair successfully hatched another chick in late April of this year. The new viewing and information point officially opened on the shores of Lough Derg today in County Clare. 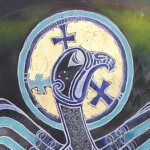 Located at Mountshannon Pier and operated by Mountshannon Community Council, the Golden Eagle Trust and Clare County Council, the new viewing point features telescopes and information and displays about the White Tailed Sea Eagles. The facility will remain open until the end of September. 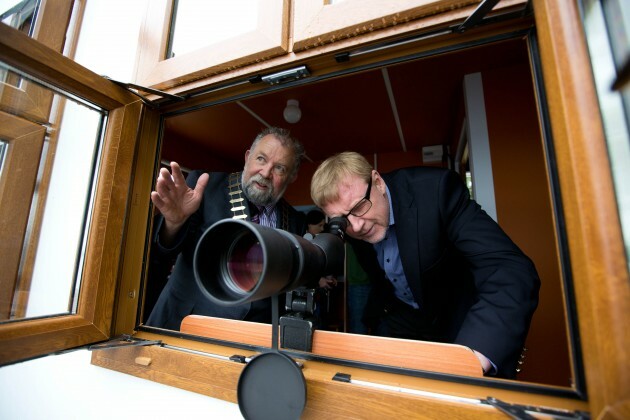 Norway’s Ambassador to Ireland, Roald Næss joined Mayor of Clare Councillor John Crowe in Mountshannon today as his country has been closely linked with the Golden Eagle Trust’s programme who are helping to reintroduce the bird to Ireland. Mayor of Clare John Crowe said the viewing point is a great way for the public to view the birds without disturbing them. He said the new viewing point “will help to further safeguard these impressive birds and their nesting activities, as well as to promote their ecology and conservation”. 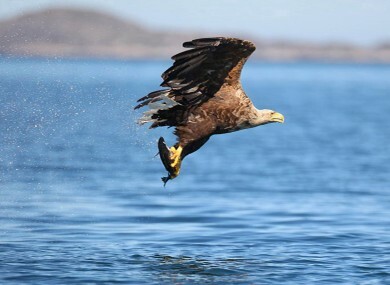 Norway is home to one of the largest White Tailed Sea Eagle populations in the world and has been instrumental in helping organisations such as the Golden Eagle Trust to reintroduce the species to countries where the bird once flourished but is no longer found. Being able to view this breeding pair thrive here in County Clare is a tribute to everyone concerned and I hope the people who visit this viewing point truly value what is happening here. Dr. Allan Mee, White Tailed Sea Eagle project manager said having a nesting pair of eagles “here on our doorstep is a unique and one that the local community in Mountshannon will I’m sure help nurture into the future”.